“When Marnie Was There” gets its FREE Madison premiere (and only theatrical screenings) on Saturday, Sept. 6 at the UW-Cinematheque screening room, 4070 Vilas Hall. The 2 p.m. screening will be dubbed into English (with voice acting by Hailee Steinfeld, John C. Reilly and others) and an English-subtitled version at 7 p.m. This review is taken from the subtitled version. PG, 1:43, three and a half stars out of four. Studio Ghibli films like “Spirited Away” and “Princess Mononoke” can take audiences seemingly anywhere. But they are cherished because they always stay tethered to the real world of children, creating emotional textures as rich and deep as their visual ones. Anyone who has felt out of step with the world around them will connect with the opening scene of the affecting “When Marnie Was There.” It begins at a school playground, where a lonely girl Anna is drawing in her sketchbook while the other kids play. “There’s an invisible magic circle,” she sighs. “They’re inside and I’m outside.” On the sketchbook, Anna has drawn a beautiful picture of the playground – but there’s no people in it. Suffering from asthma, Anna is sent off to live with relatives in a small fishing village. We learn that part of her isolation comes from the fact that she is adopted, and, later, we learn that she’s shaken to learn that the government pays her foster parents to take care of her. She feels unwanted, and keeps her blank “normal face” on to push away even friendly interest in her from potential playmates in the village. “I hate myself,” she says in private, more than once. Until she meets Marnie. Anna is intrigued by an old, mossy mansion across the inlet from where she’s staying. She steals out on a moonlit night by boat, and sees a beautiful blonde girl brushing her hair in an upstairs window. The lush visual details infuse these moments with mystery and wonder. Eventually, Anna meets Marnie, who befriends her without judgment. The girls begin to share secrets, and making a new best friend improves Anna’s mood and confidence. (There are subtle changes in hue to location we’ve seen earlier in the film to suggest this.) Only, it’s becoming clear that Marnie hasn’t yet shared all her secrets with Anna; that mansion has been unoccupied for years. 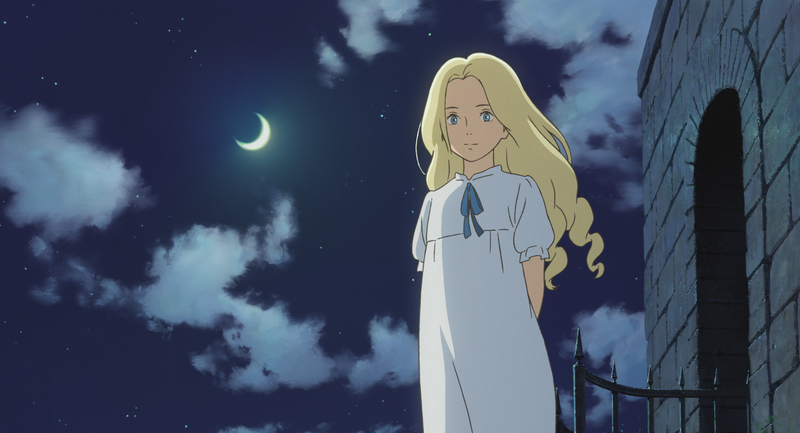 “When Marnie Was There” has echoes of a familiar ghost story, but downplays the supernatural elements to focus on the girls and the effect that friendship has on each of them. Directed and co-written by Hiromasa Yonebayashi (also behind the wonderful “The Secret World of Arrietty”), “Marnie” unfolds at its own elegant, unhurried pace, confident in the spell it casts on audiences young and old. 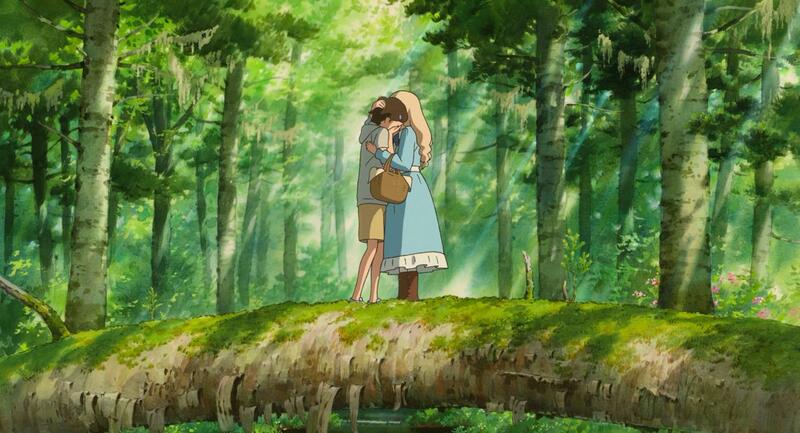 “When Marnie Was There” is being released by Studio Ghibli while the animation house goes on hiatus following the retirement of Ghibli’s animation master, Hayao Miyazaki. It’s a very troubling development for those of us who love their movies. Hopefully Ghibli will re-emerge reinvigorated, because few can make movies like this. And nobody else is.